So you want to be a movie director? Read this book. That’s it, you’re ready! 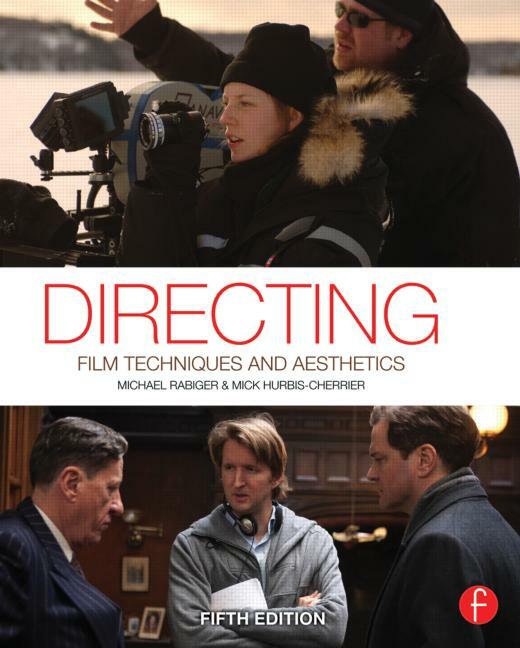 Comprehensive is too weak a word for the contents of the freshly updated “Directing.” In contrast to past tomes I’ve reviewed in the publisher’s FilmCraft series, this is not a string of anecdotal accounts about an aspect of the film profession. Possessed of a depth and scope far beyond what might suffice for laymen, this is a playbook for people who are serious about learning how to do this job called directing. Film-school education has long turned away from the days when theory, interpretation, and critique held sway. The film industry is the quintessential capitalist/industrial venture – every movie a startup, an invention, an experience, a product, a gamble on the ability of the filmmaker to connect with a paying audience. And, like most artistic endeavors, you learn a lot more and a lot faster on the ground getting it done than sitting around thinking and talking about it. Film is a practicum: if you can’t make it happen, you won’t get far. That being said, this would be the book to read before diving in to the daunting business of directing. The key to its effectiveness as an introduction, a classroom text, a reference work, or as a literal template for a specific film project is its straightforward, forthright style, peppered with both flashes of humor and a serious sense of purpose. The concern of the authors to be as clear and logical as possible is clearly felt, and the text is profusely illustrated with relevant stills and diagrams as well. The organization of “Directing” is as impressive as the scope of work it suggests is the director’s responsibility is staggering. The book begins with basic premises through storytelling, film aesthetics, and cinematic “language,” on to preproduction, casting, working with actors, hiring a crew, breaking down the script, all the way through post and concluding with a friendly reminder to the filmmaker not to drink too much after the first screening, so that he or she can network more effectively. The upshot for me, personally, after reading “Directing” is that I do NOT want to direct. It seems to demand a combination of the personality traits of Superman, Moses, Patton, and Renoir, with a double portion of the patience of Job. A caveat – this is a text loaded with valuable content, and it means slow going and careful digestion for the reader who wishes to make full benefit of it. “Directing” is exemplary not only in its address of its subject, but as a model for anyone who would seek to cover a subject thoroughly, with insight, and a healthy sense of how a neophyte should proceed. Really? You really want to direct? Read “Directing” and call me in the morning.